It sounds like an obvious fact: If you actually do work in your office, it won’t always be organized or look tidy. That’s a GOOD thing. It means you are being productive. 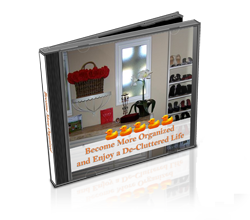 I am giving you permission to let your office be a bit messy – for awhile. Offices, at home or out in the workforce, need to be maintained. They need to be tended to. Systems need to be set up and followed. ‘Stuff’ needs to be sorted and prioritized. If you want to be efficient, set a weekly check-in and clean up. Put it on your calendar. Commit to it. Prioritize. As with anything you do, the key is balance. If you spent a lot of your time fretting how messy your office is, focusing your attention on the clutter, and thinking about how awful it is- then YES. It will affect your productivity, your efficiency and your performance. If you spend your time following the systems you set up, maintaining your office space at least on a weekly basis for optimal efficiency, and focused on success – then YES. This will be your result-SUCCESS.